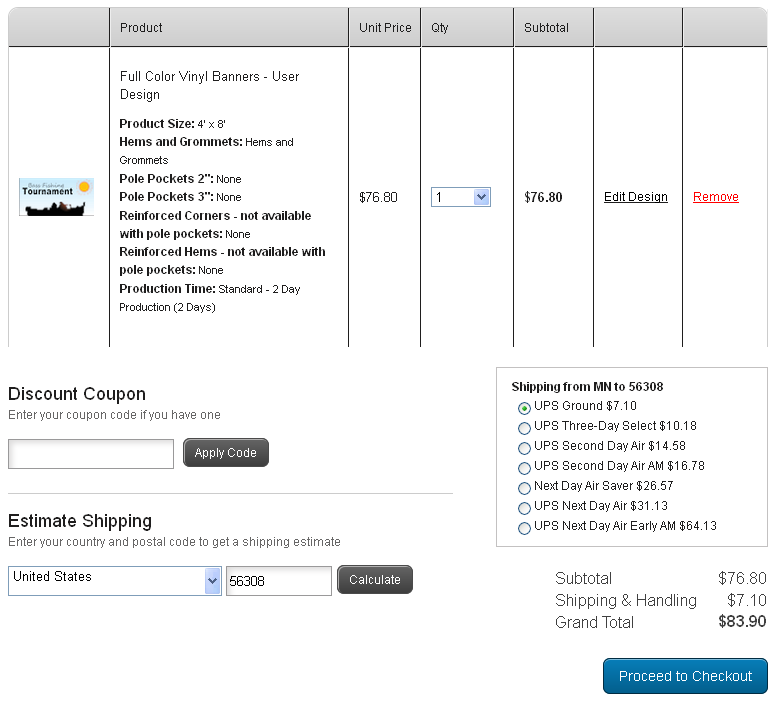 There are three ways you can order products online at Banners.com: Browse Templates, Upload a File or Work with a Graphic Designer. 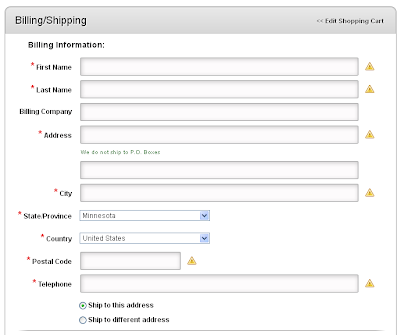 Click here for more information about the three different ordering options. 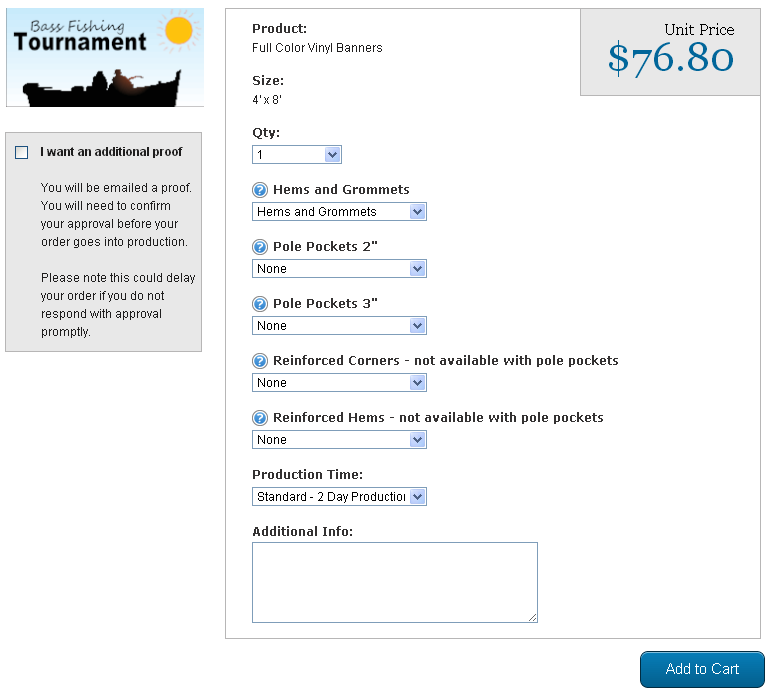 We will be discussing the "Pick a Template Method" for our most common product, Full Color Vinyl Banners. 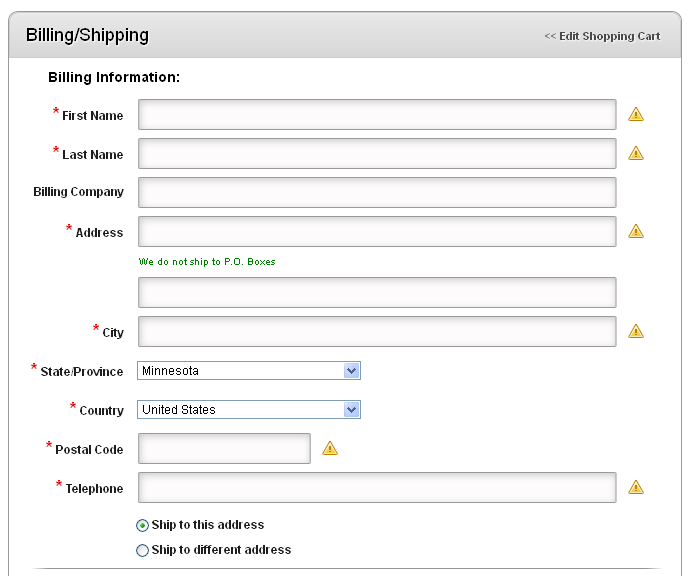 For best results, please create an account prior to starting your order to save steps in the checkout process. Click here for more information about creating an account. We have lots of templates build for you to customize. There are two ways to browse our template categories: in the drop down menu or selecting a category from the "Browse Templates" sidebar. When you have found a template you like, click on the template and it will bring you to the online designer. 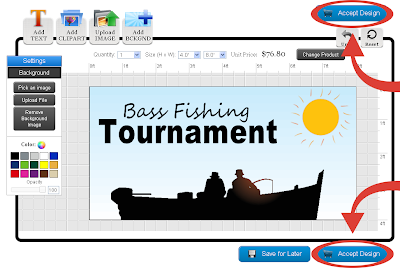 You can also select the "Blank Template" and start your banner from scratch. 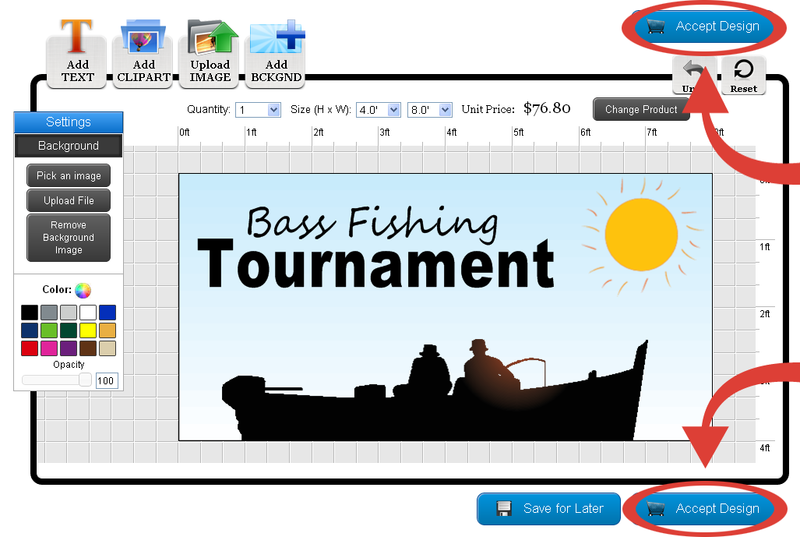 Once you are in the online designer you can customize the banner by adding photographs, clip art, background and text. Click here for more information on how to use the online designer. 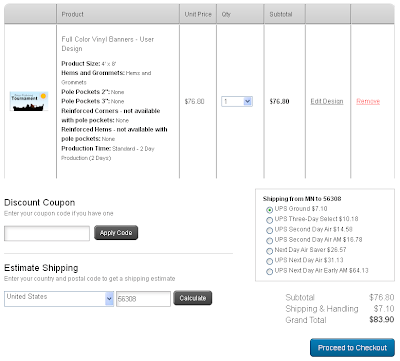 When you are done with your design, click on the "Accept Design" button located at the top or bottom of the designer.